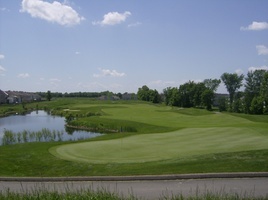 Stonebridge offers you the perfect venue for your next golf tournament. Treat your players to an exceptional tournament day experience! Our experienced staff will assist you in all your arrangements so you can relax and enjoy the day with your group. We offer you competitive pricing on all tournament prizes and merchandise, and help you with a variety of different menu’s for your special awards party following your event. We can customize your event to make it a unique and memorable golfing experience. Stonebridge Golf Club looks forward to hosting your next golf outing and providing your participants with the “Premier Golfing Experience” in the Ottawa Area. We host tournaments from 25 players up to 144 players. For tournament pricing and more information contact Joe Warner, Director of Golf.